Meet our makeup and hair stylista Yvonne. 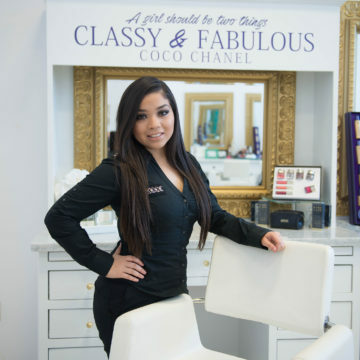 Yvonne offers a superior full service style, from cut, color, makeup and special event styling to certified applications including Brazilian Blowout and Babe Hair Extensions. She specializes in creating beautifully classic, yet fun and trending styles. So take a seat on her chair, sit back and relax, sip on champagne and ask for her signature J.Lo Blowout. You will love the exclusive experience.